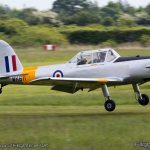 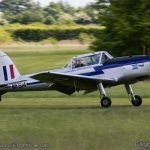 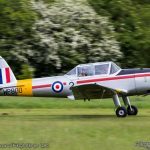 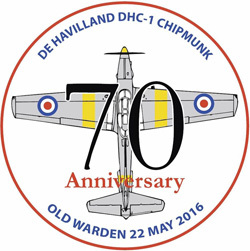 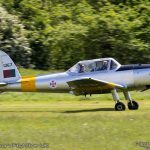 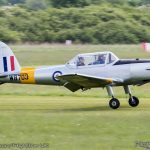 The 22nd May 2016 marked the 70th Anniversary of the first flight of the de Havilland Canada DHC-1 Chipmunk. 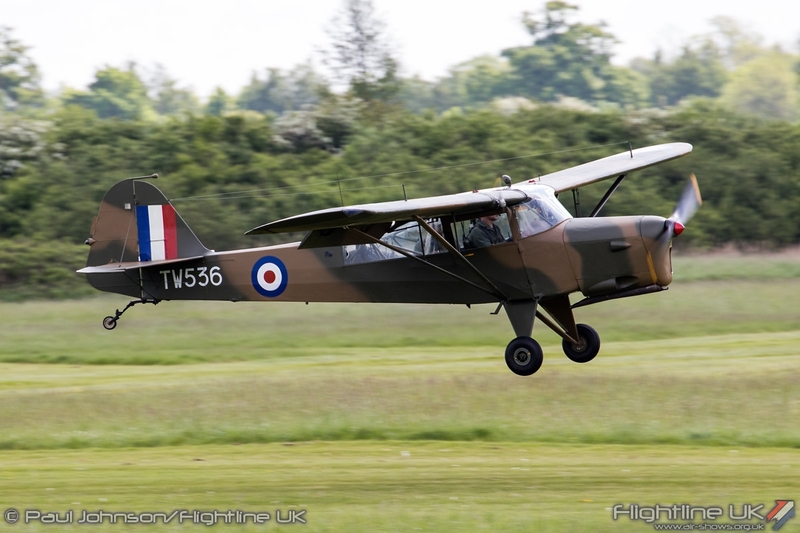 The ‘Chippie’ became synonymous with UK military training until 1996 and lives on today, primarily in civilian hands. 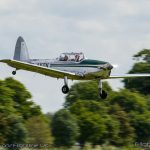 The Shuttleworth Collection played host to an exceptional gathering of the type with aircraft from across the UK and Europe to amrk this important anniversary. 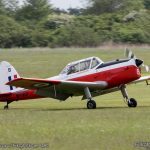 On 22nd May, ‘Pat’ Fillingham undertook the first flight of the DHC-1 Chipmunk ‘CF-DIO-X’ at Downsview, Toronto. 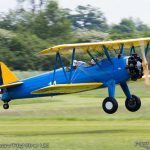 It was the first post-war product of the de Havilland Canada and was conceived as a replacement for the thousands of the de Havilland Tiger Moth primary trainers that served with the Canada, British and Commonwealth forces around the world. 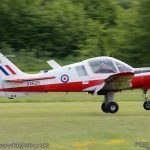 Following evaluation by the Aeroplane & Armament Experimental Establishment (A&AEE) at Boscombe Down, the type was soon adopted as the RAF’s primary trainer. 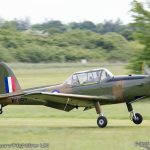 Production for the UK Chipmunks was undertaken by de Havilland, initially at Hatfield (which is fairly close-by to Old Warden) before switching to Hawarden in Bedfordshire. 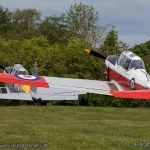 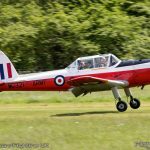 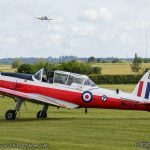 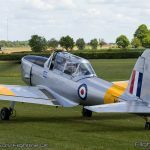 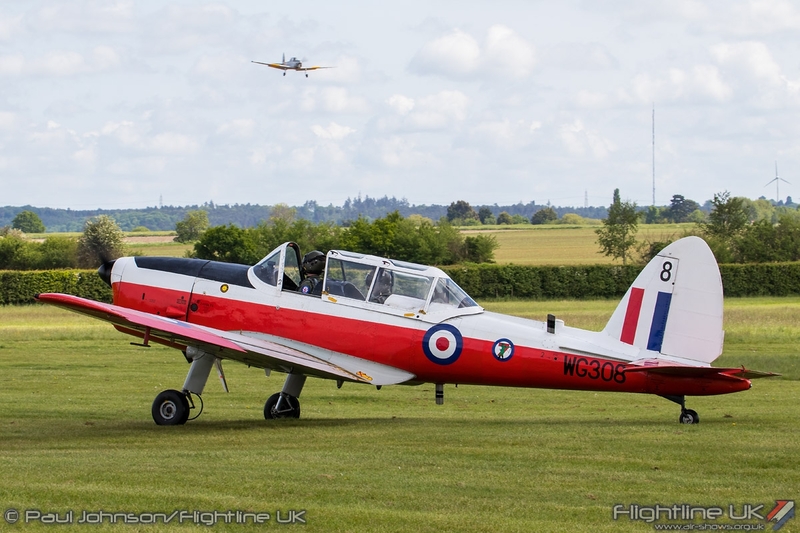 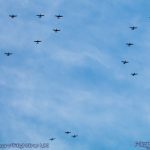 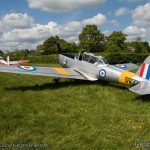 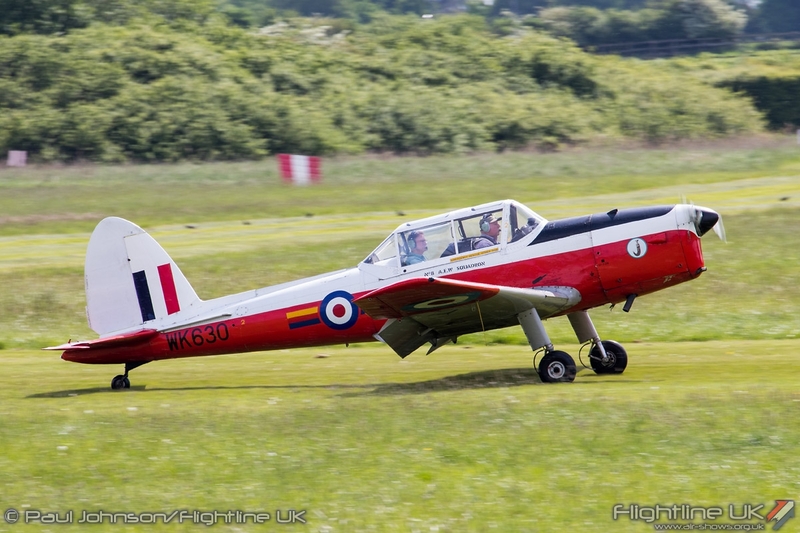 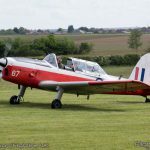 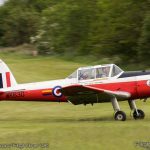 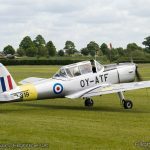 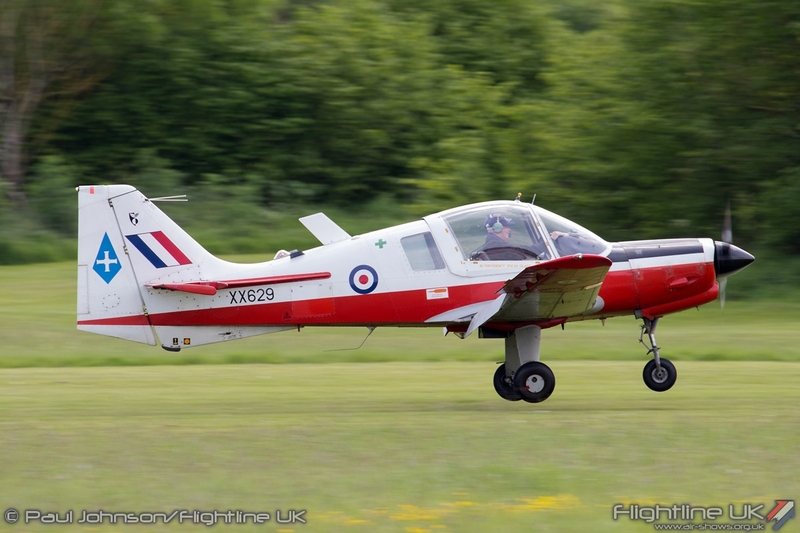 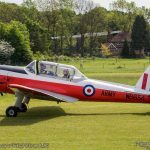 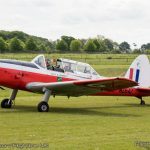 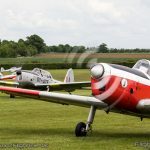 The RAF took on 735 Chipmunks which equipped RAF Volunteer Reserve Flying Squadrons and University Air Squadrons providing many with their first taste of military flying. 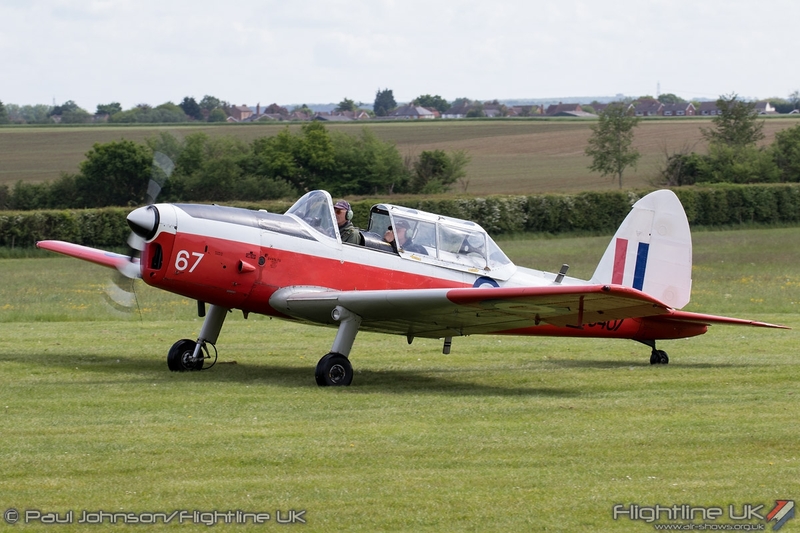 Chipmunks also took on more front-line roles. 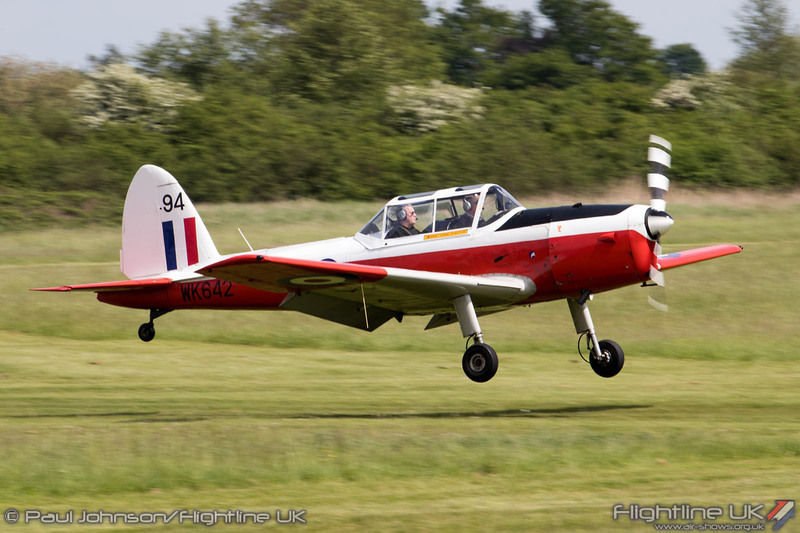 Between 1958 and 1959, 114 Squadron operated Chipmunks during the Cyprus Conflict for covert security flights. 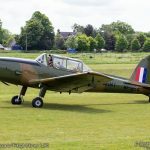 Chipmunks were also used for surveillance in East Germany operating out of RAF Gatow as part of “British Commanders’-in-Chief Mission to the Soviet Forces in Germany” or BRIXMIS. 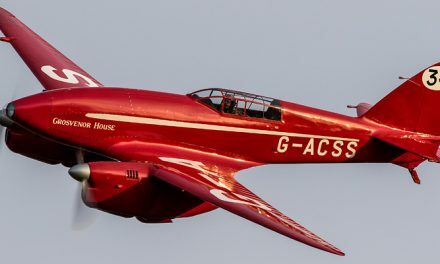 The type served with the Royal Air Force until 1996 when they type was retired from use with the Air Experience Flights. 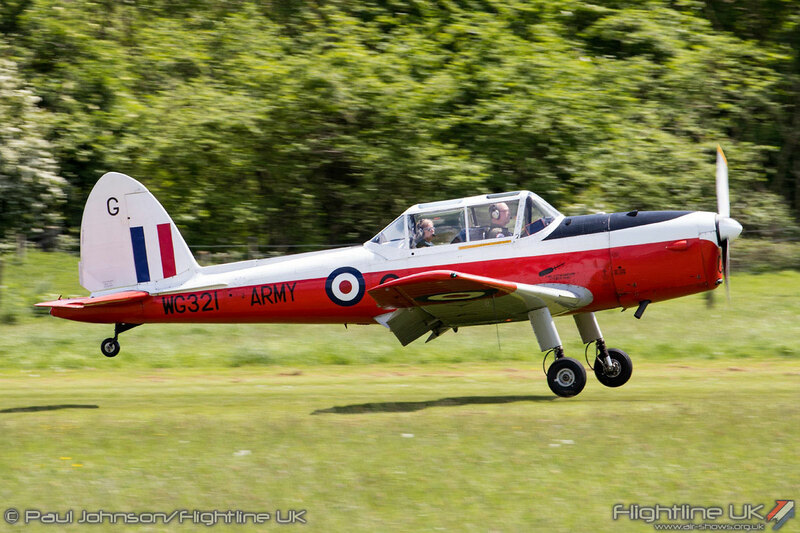 The Army Air Corps finally retired their last Chipmunks a year later in 1997. 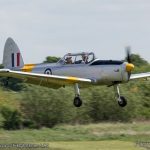 A handful have remained in military service with the Battle of Britain Memorial Flight, Royal Navy Historic Flight and Army Historic Aircraft Flight. 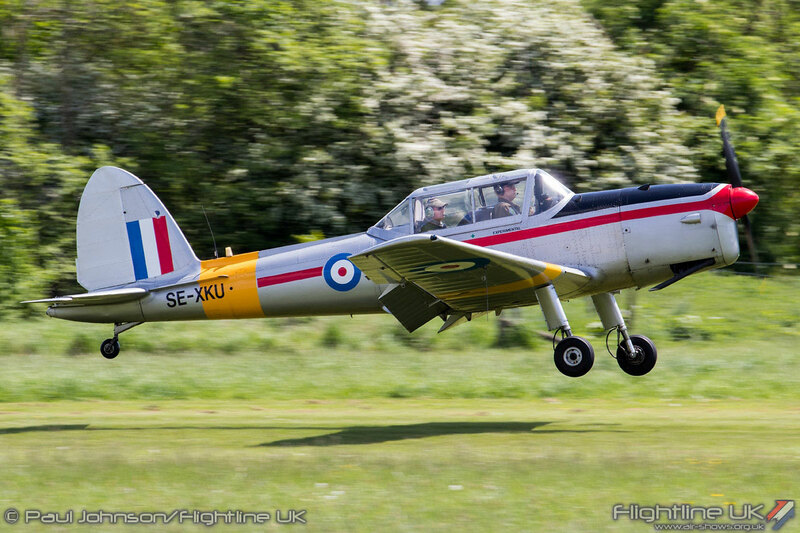 The end of military service has been the end of Chipmunks. 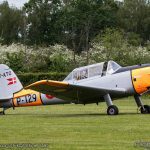 They have proved a popular “warbird” in civilian life with hundreds in private ownership or forming part of flying clubs. 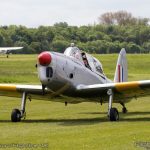 They are useful aerobatic and tail-dragger trainers meaning they are retained by the various military historic flights and companies offering conversion to more potent warbirds. 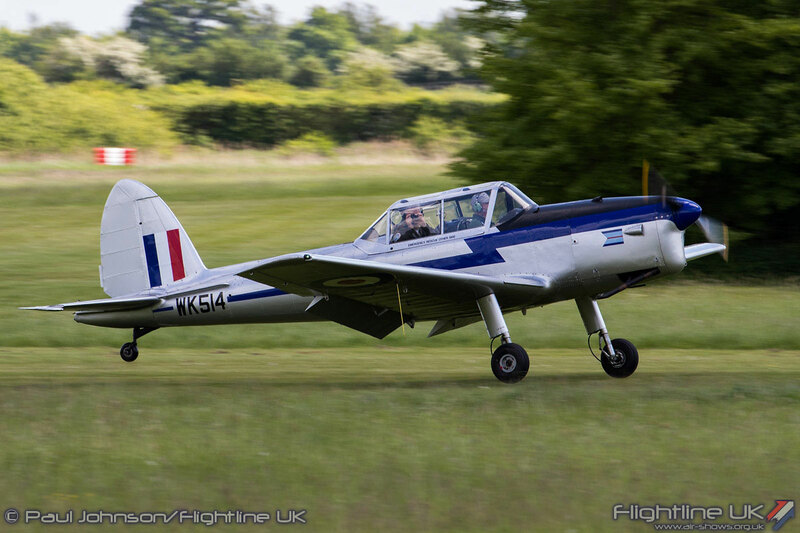 Civilianised Chipmunks have also appeared in various degrees of modification. 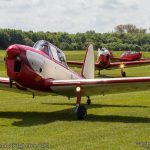 Many gliding clubs, particularly the RAF Gliding and Soaring Association used Chipmunks modified with more powerful Lycoming engines for aero-towing. 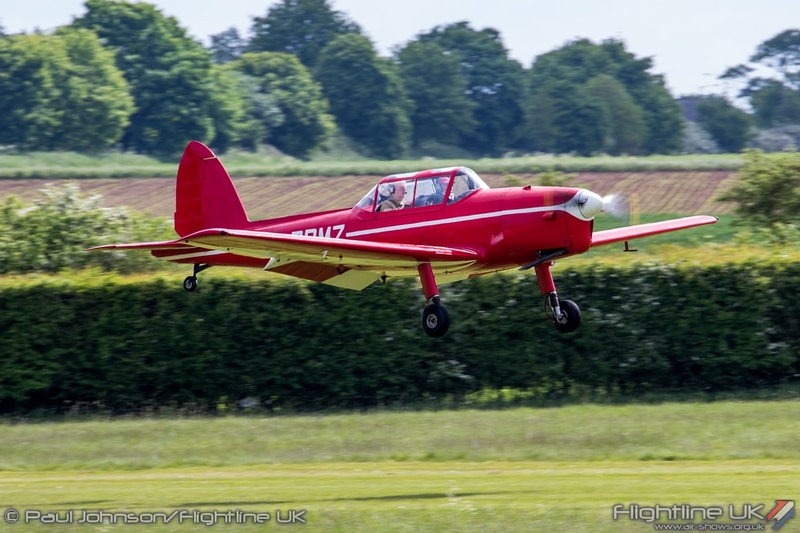 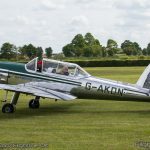 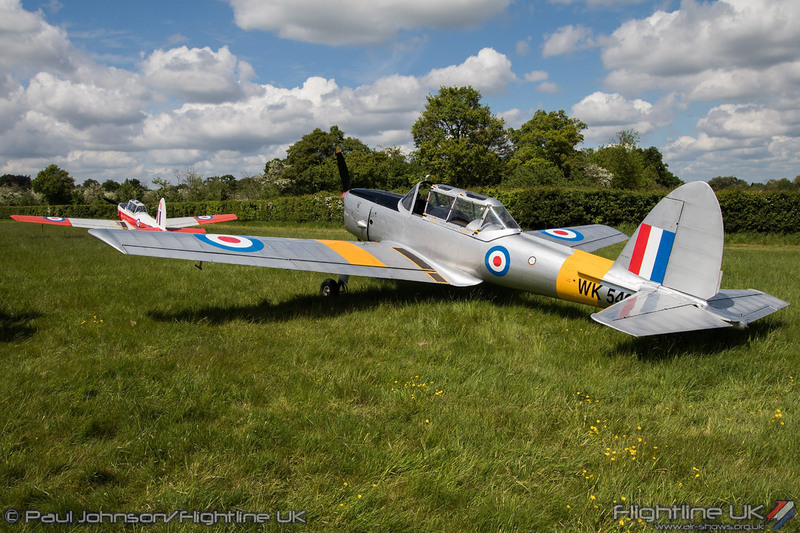 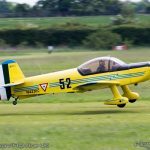 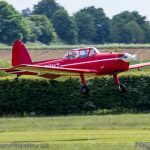 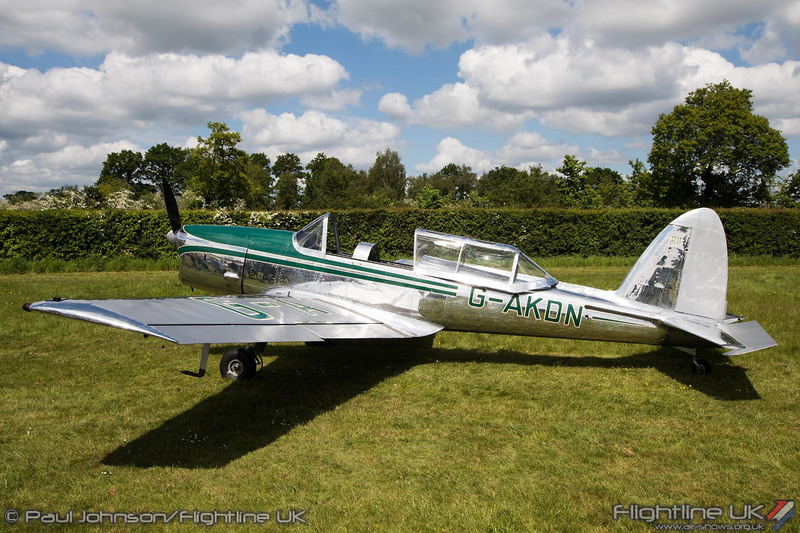 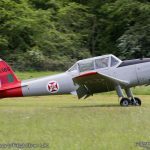 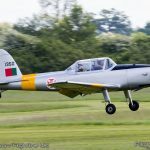 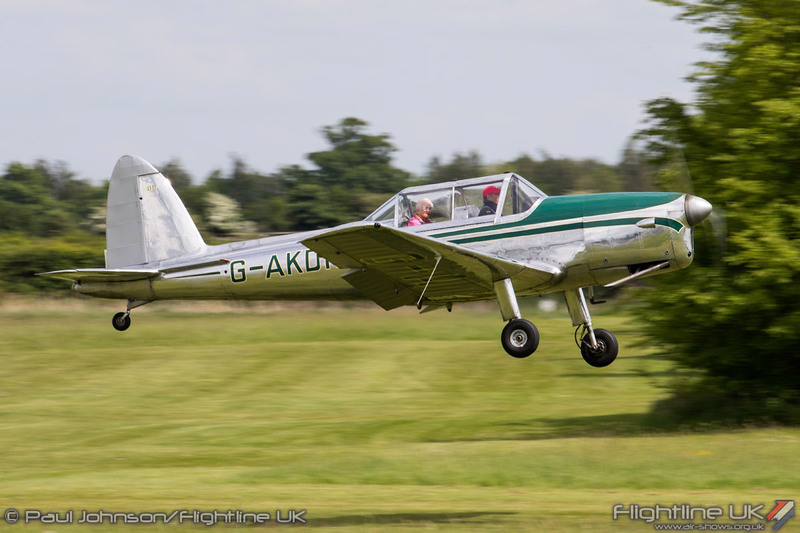 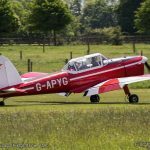 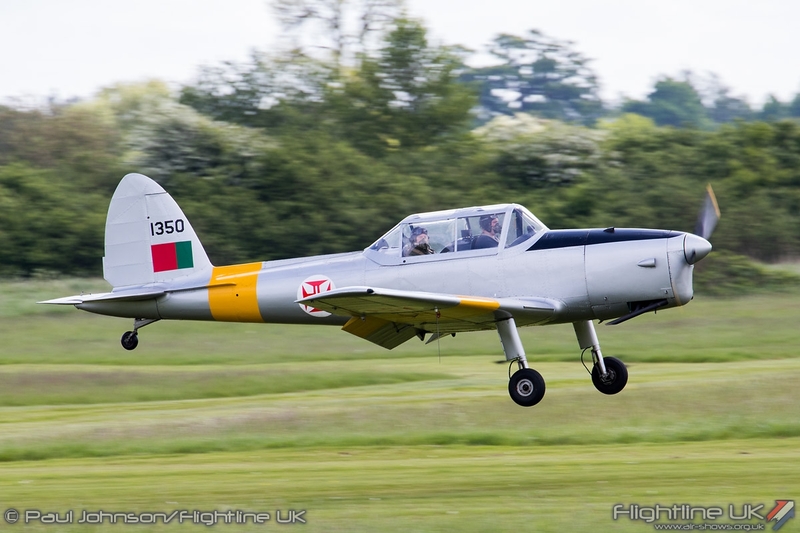 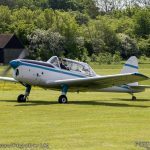 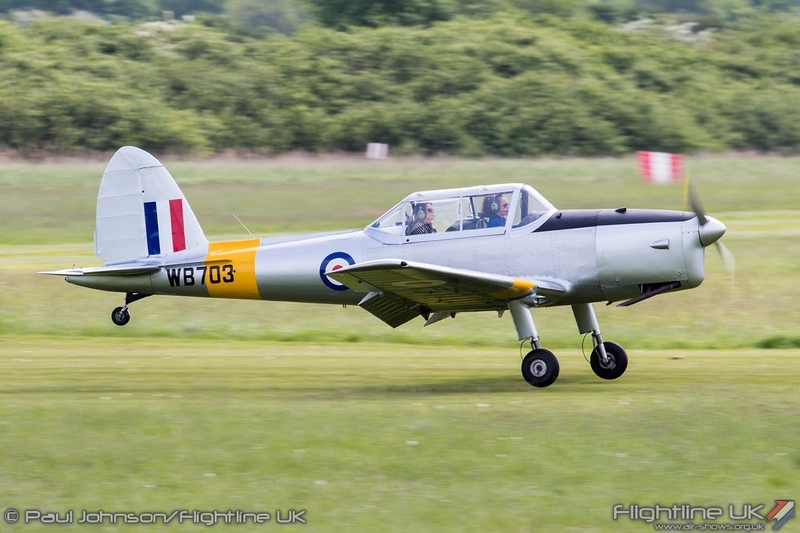 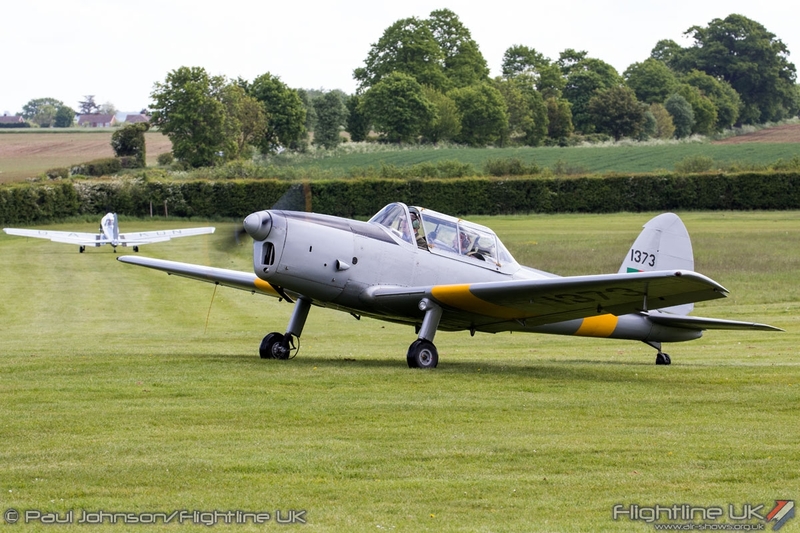 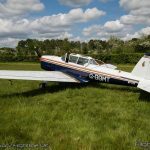 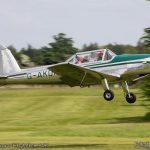 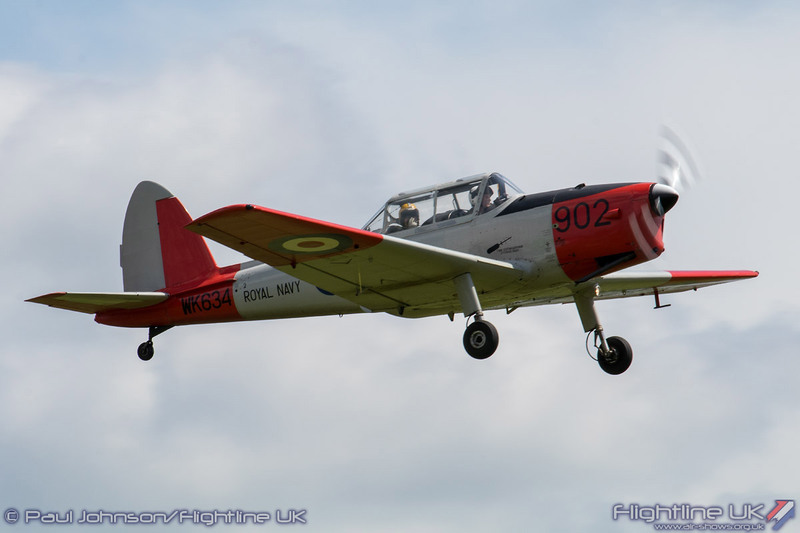 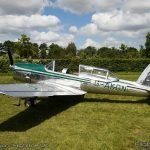 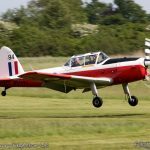 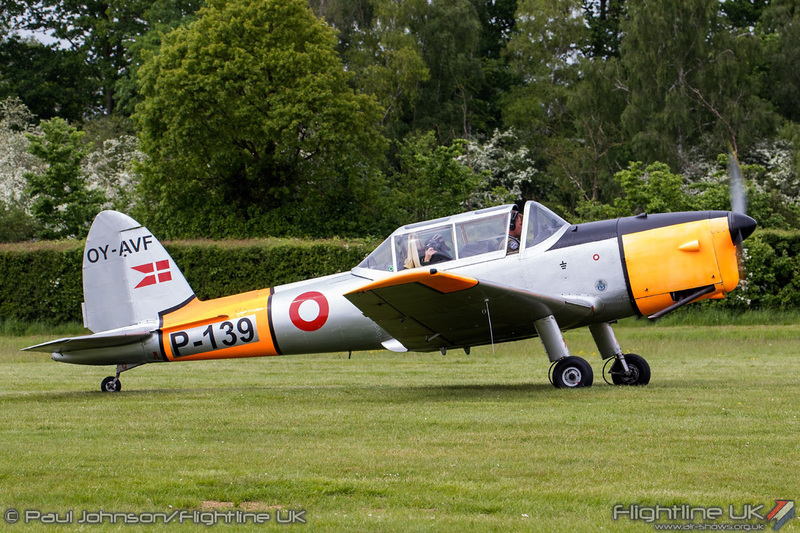 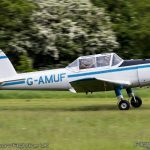 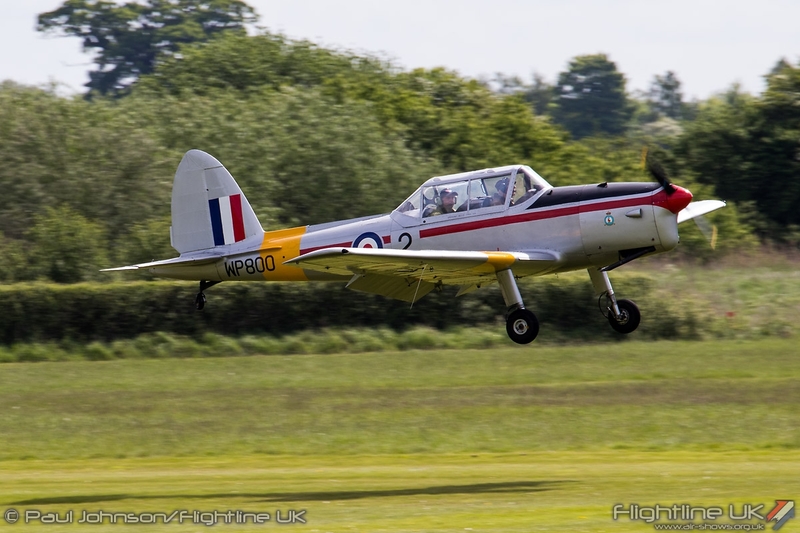 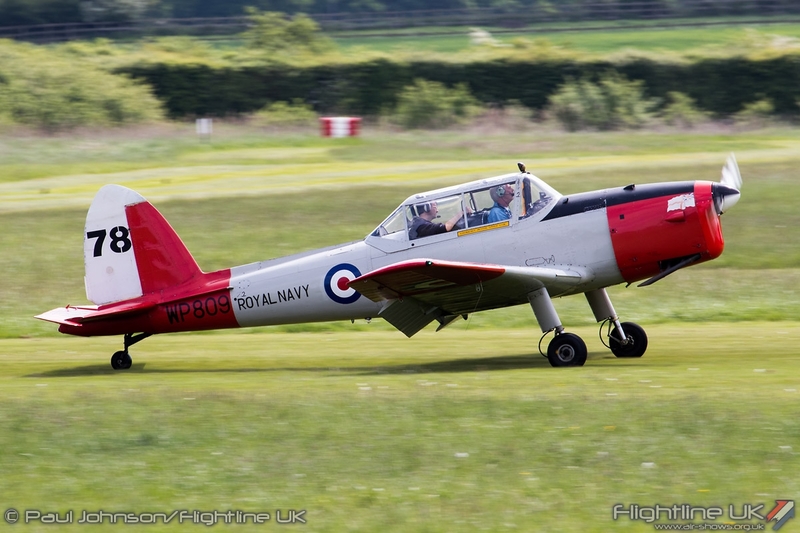 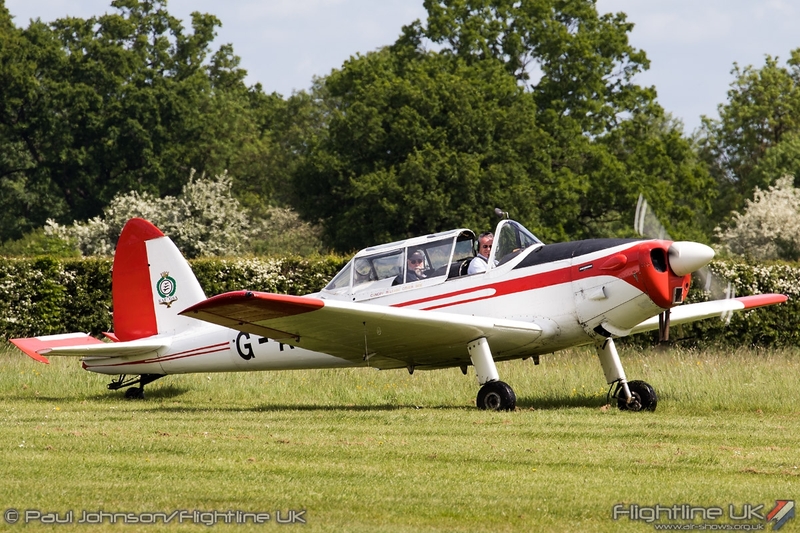 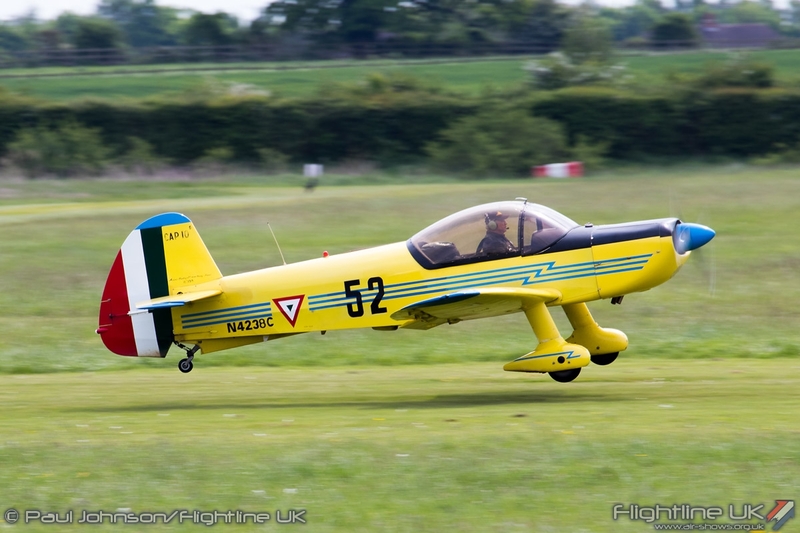 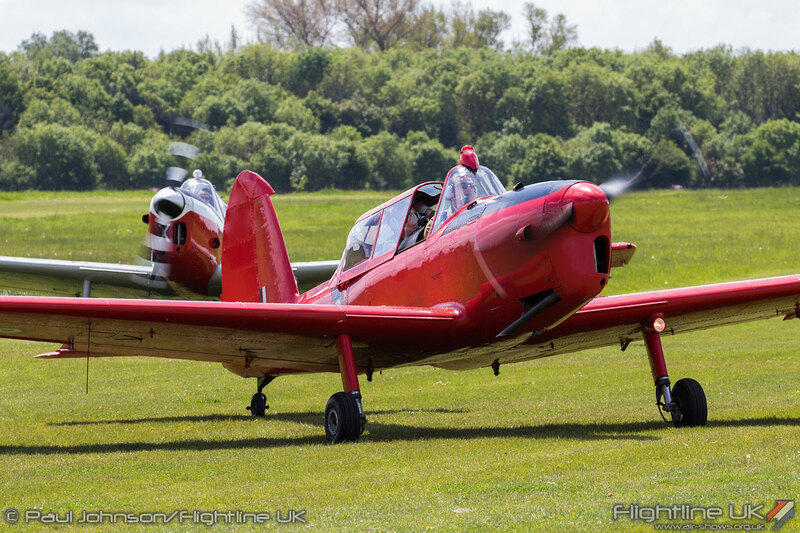 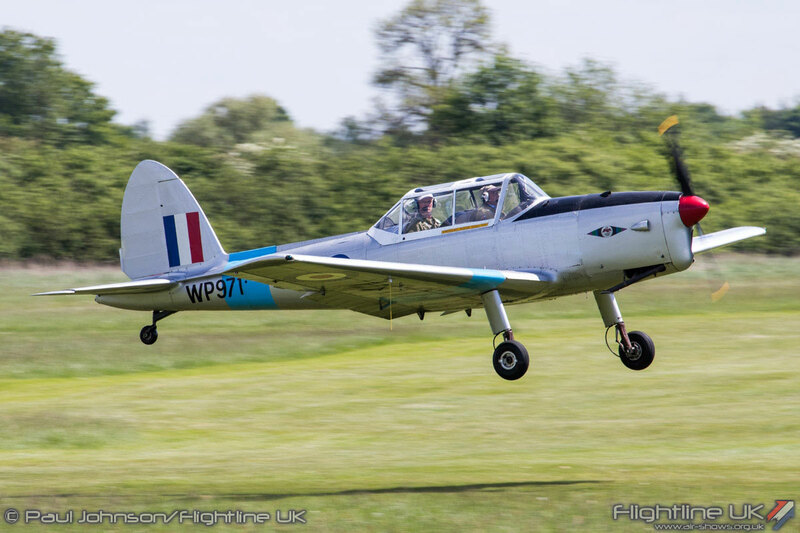 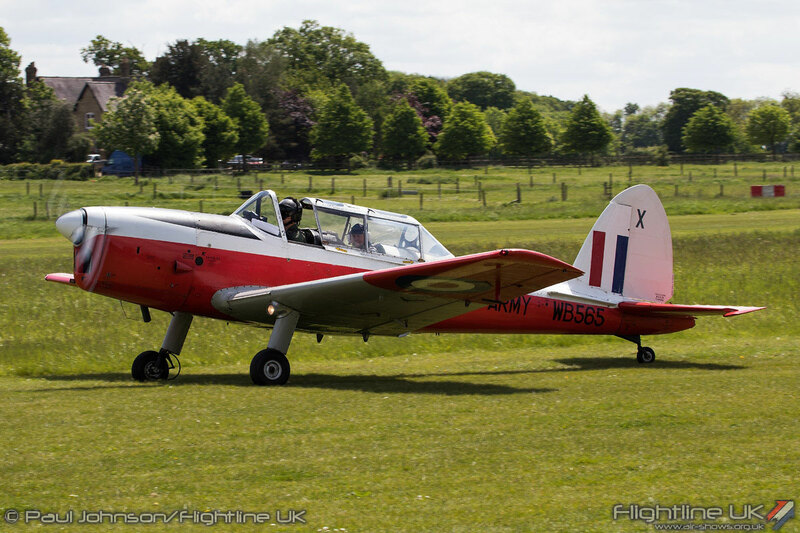 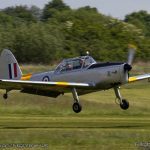 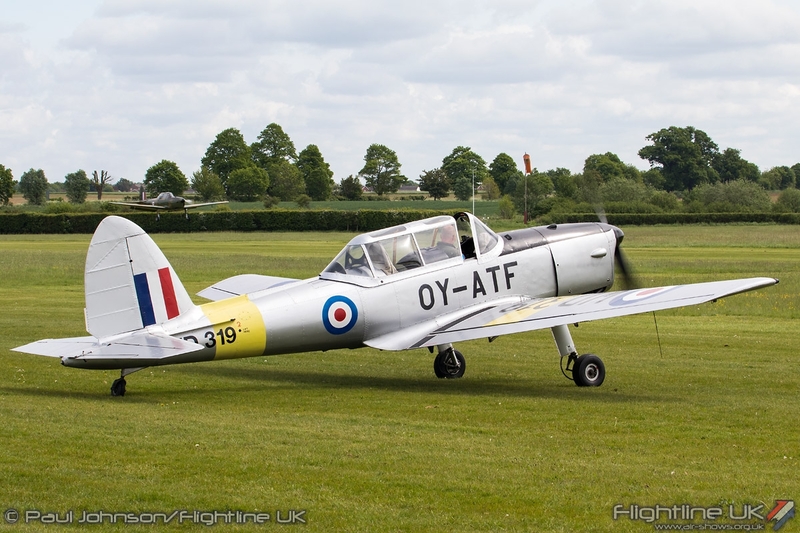 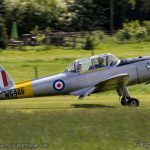 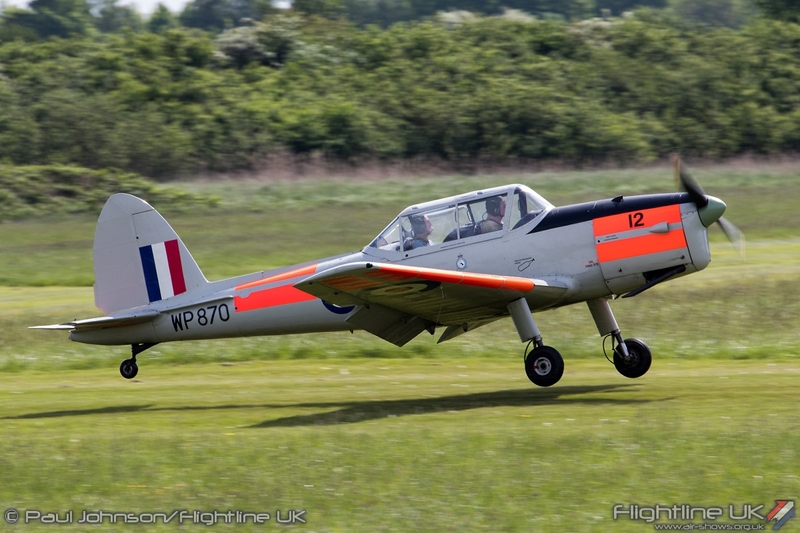 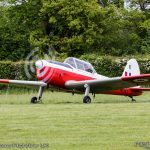 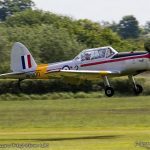 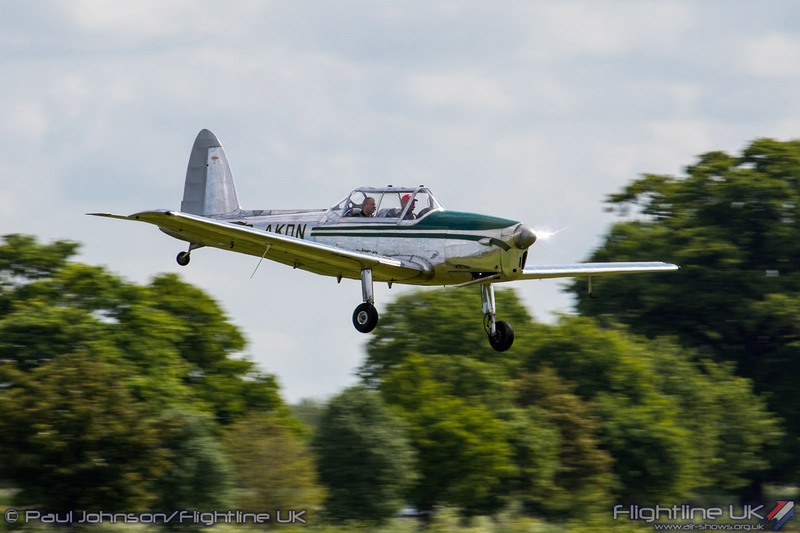 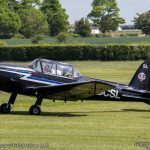 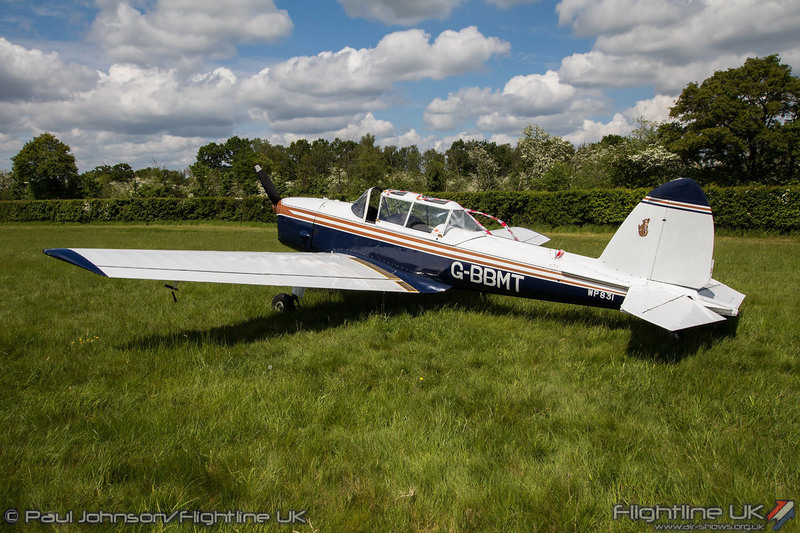 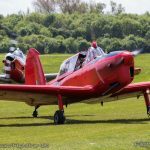 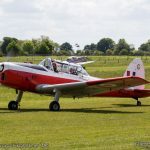 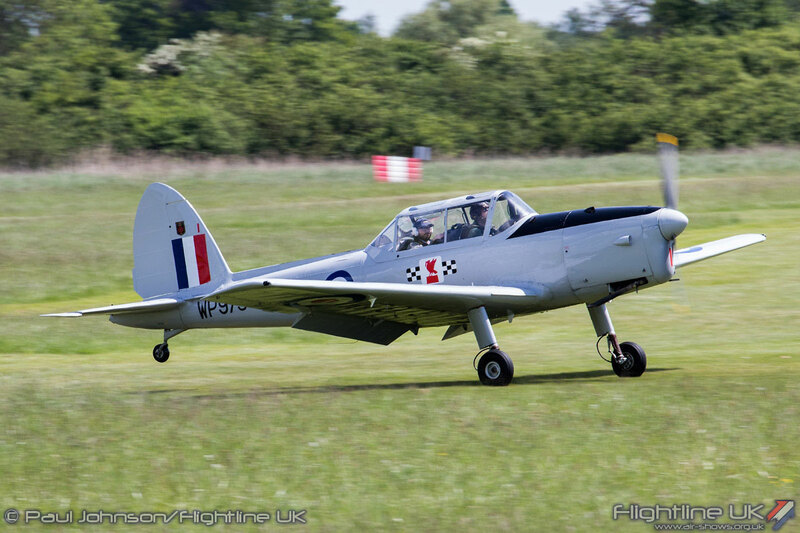 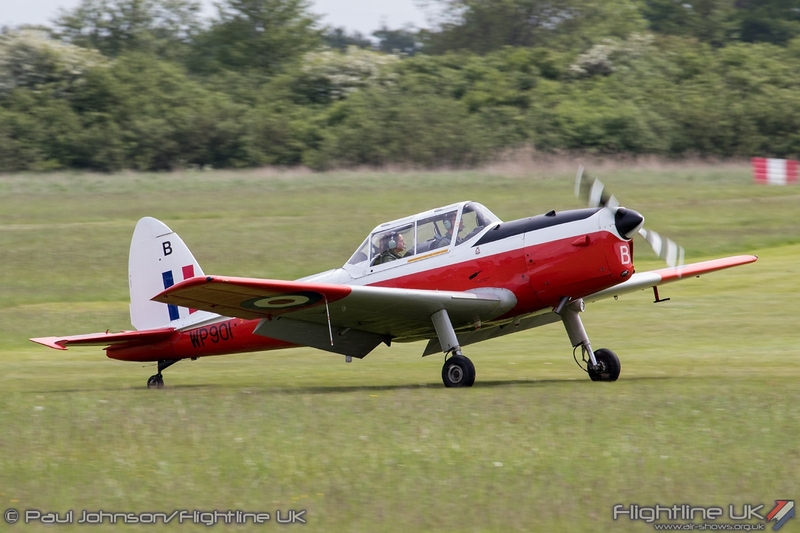 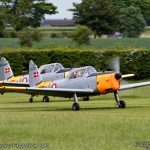 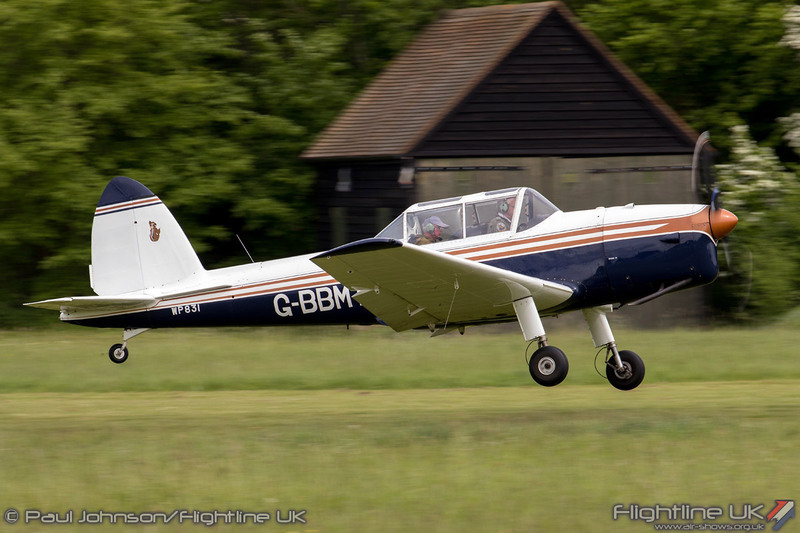 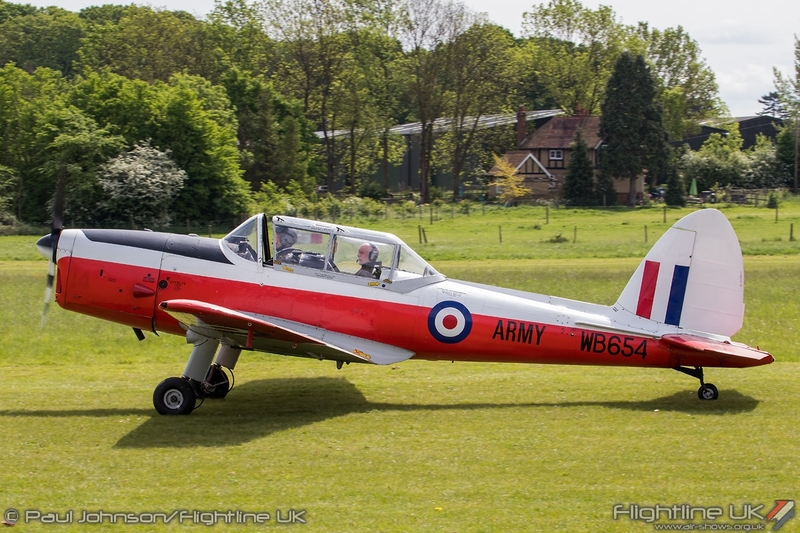 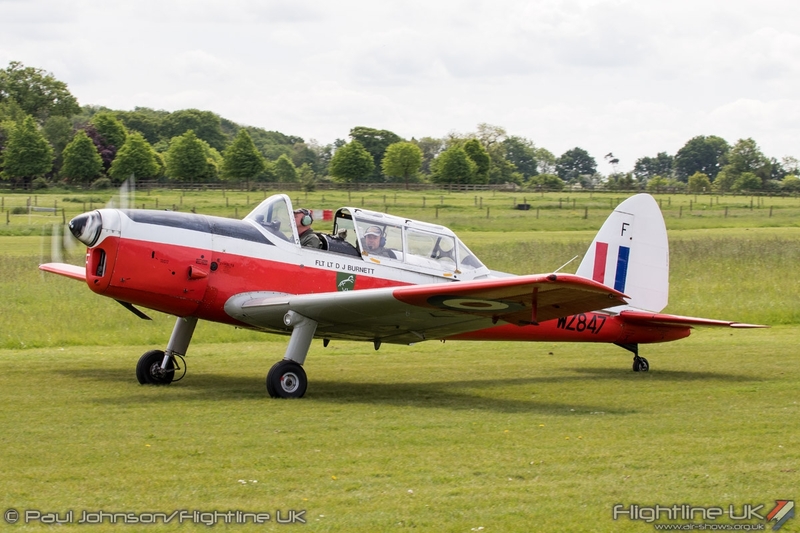 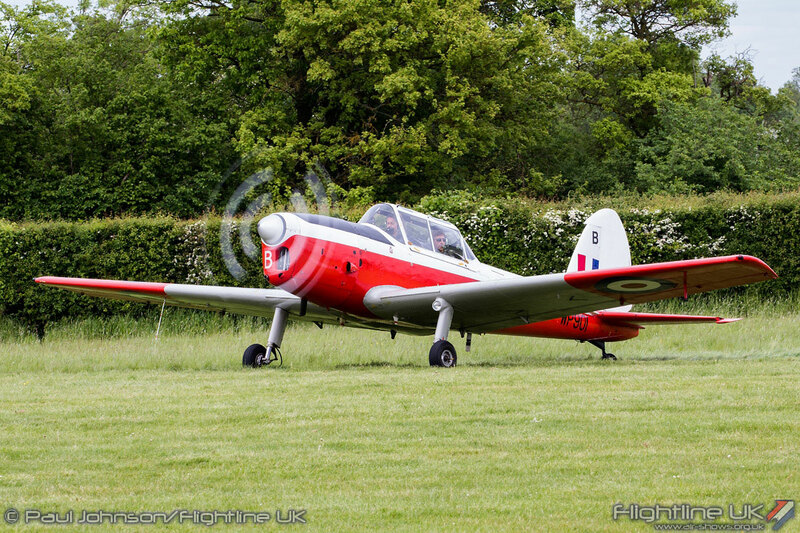 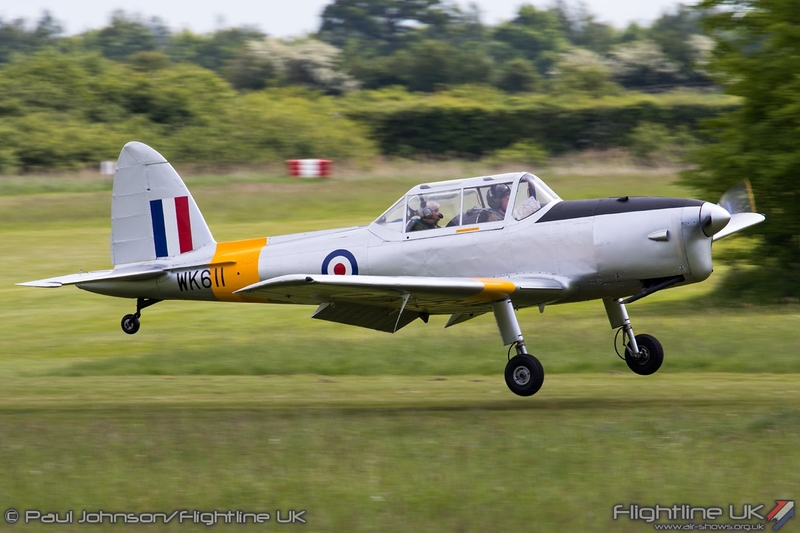 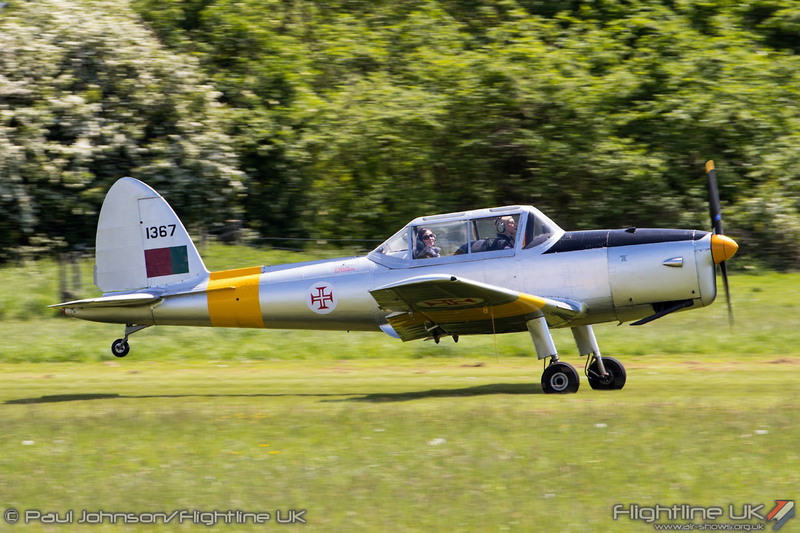 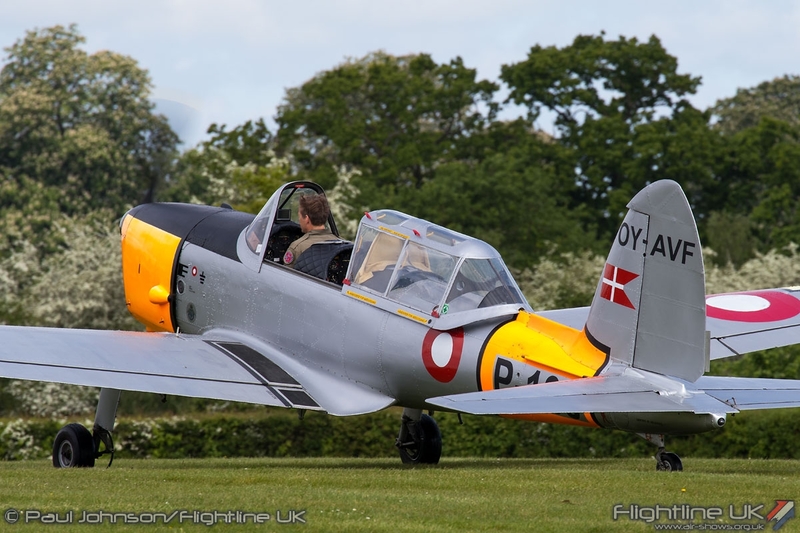 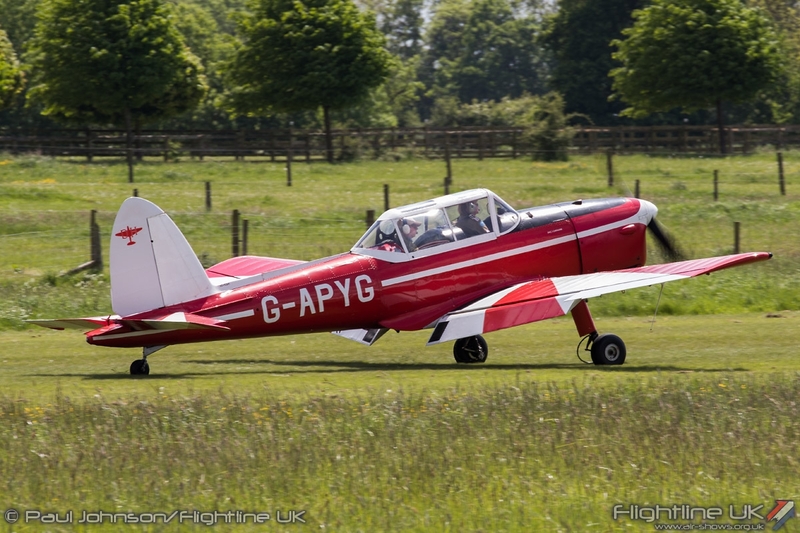 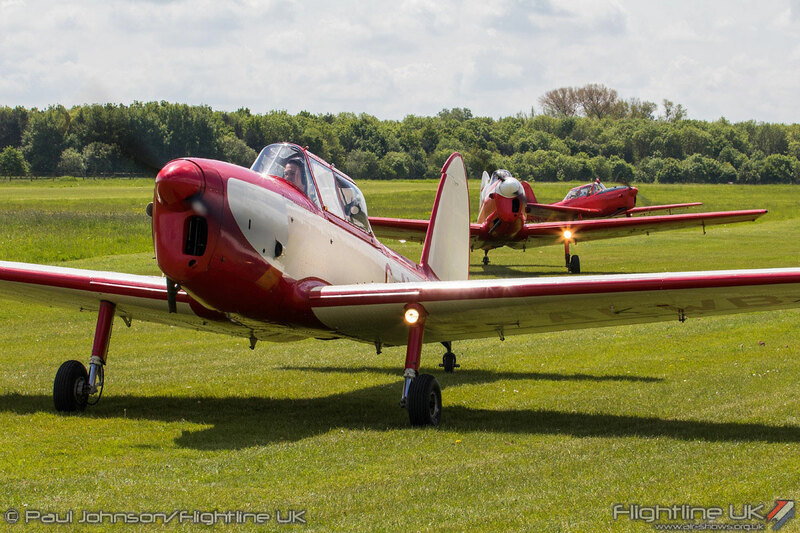 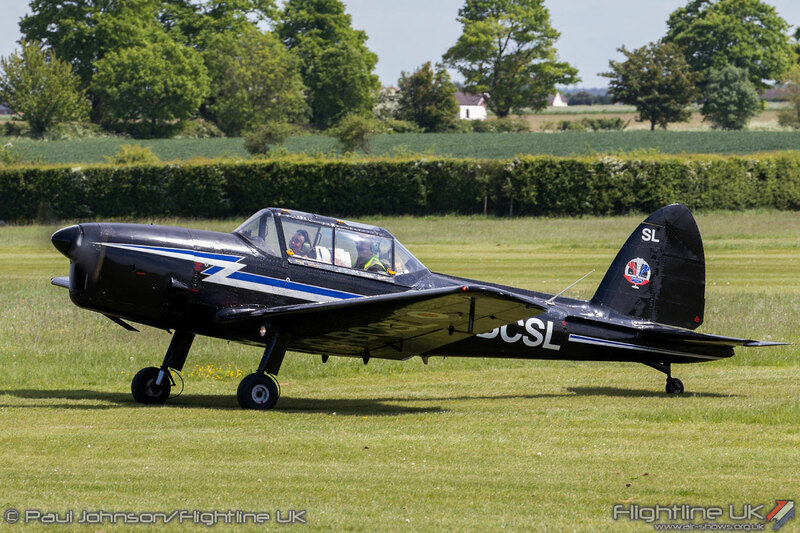 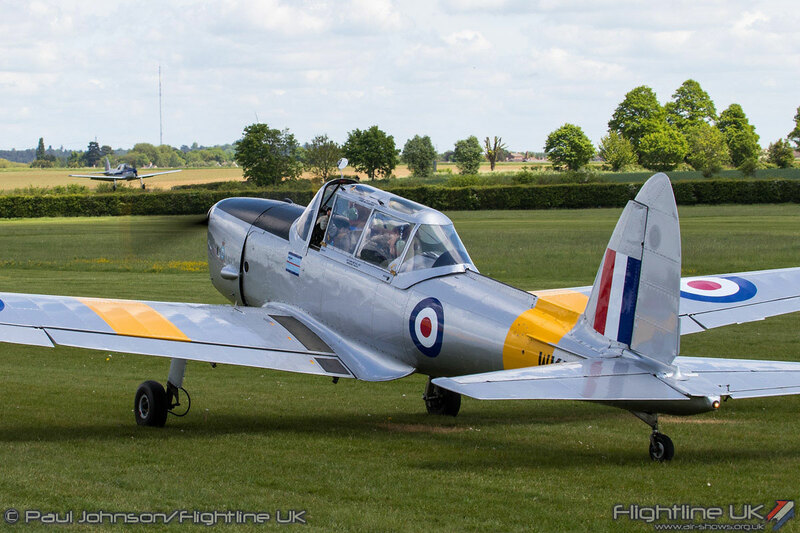 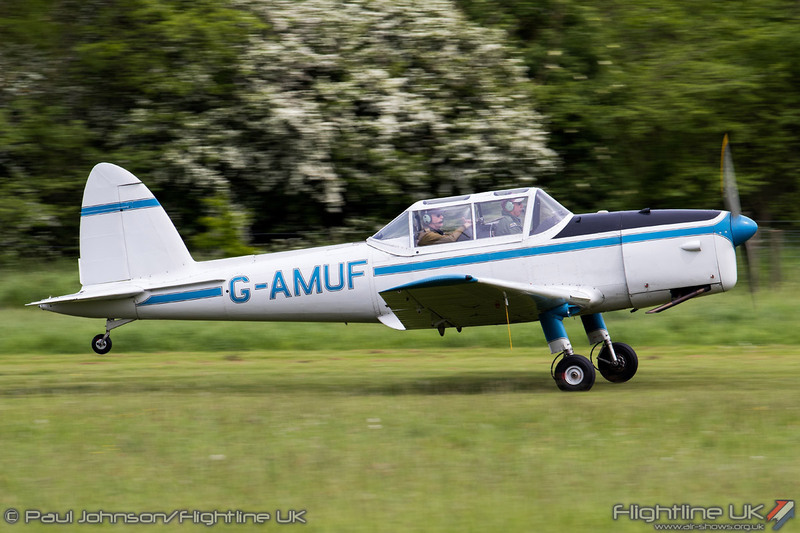 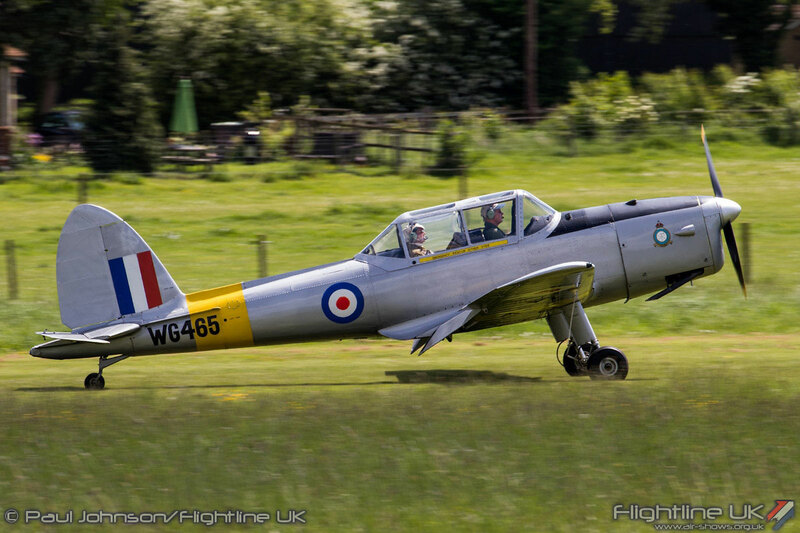 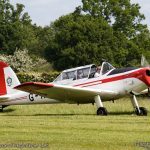 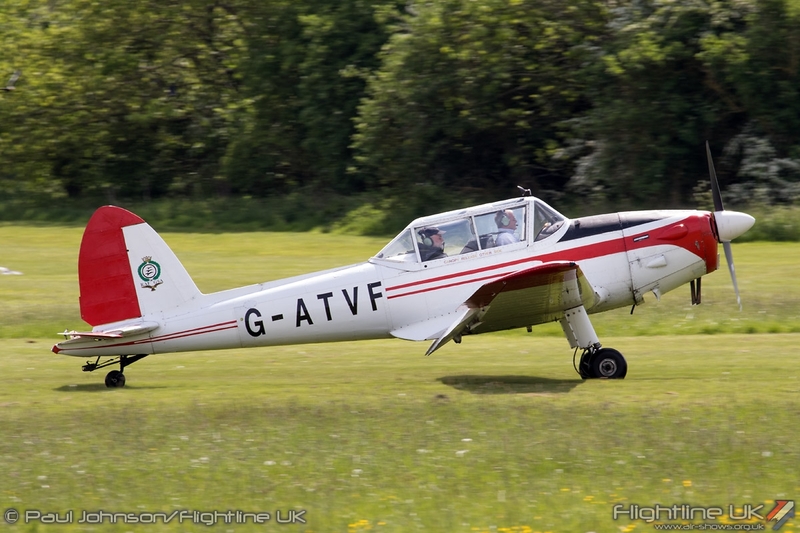 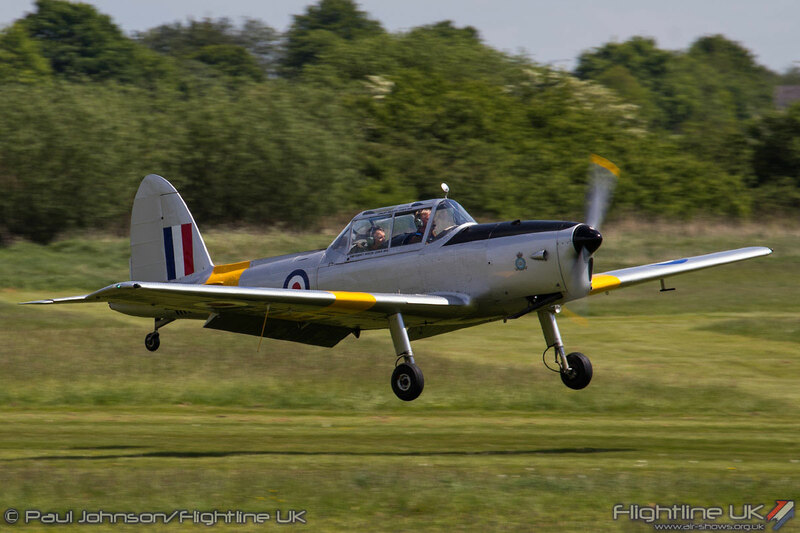 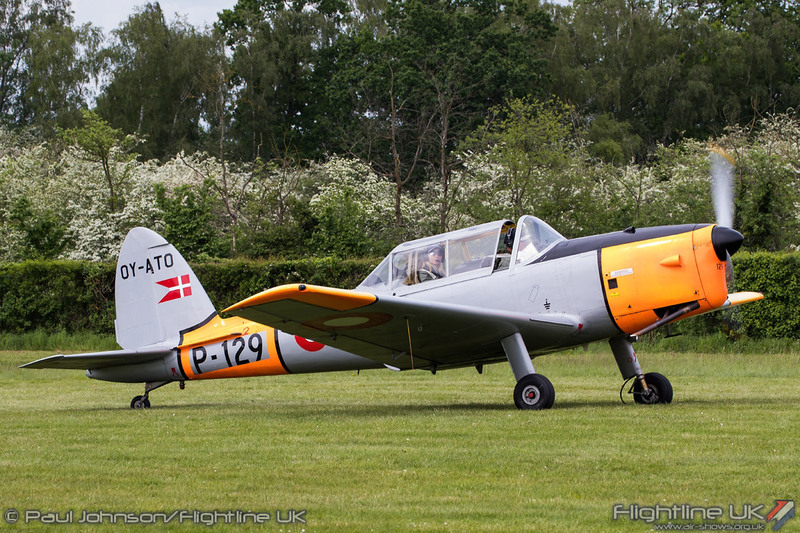 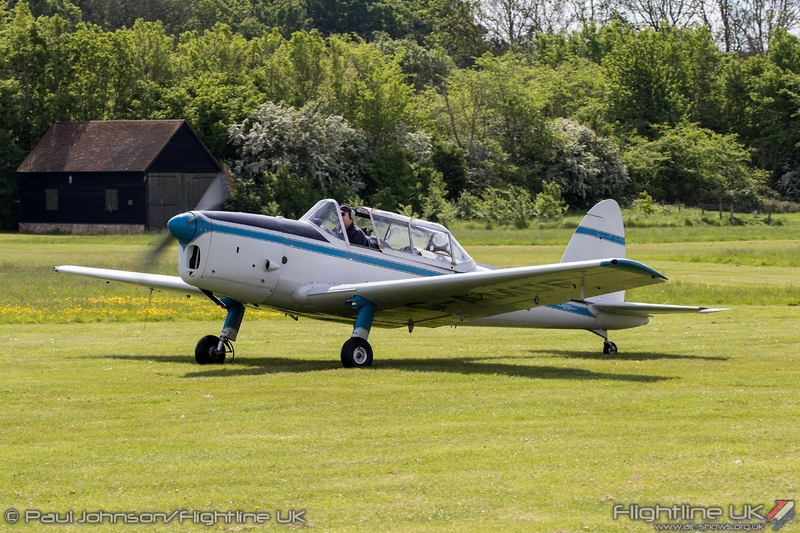 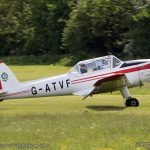 Some owners have also produced specialised aerobatic and airshow machines out of the basic Chipmunk airframe and they have even been used as crop-sprayers. 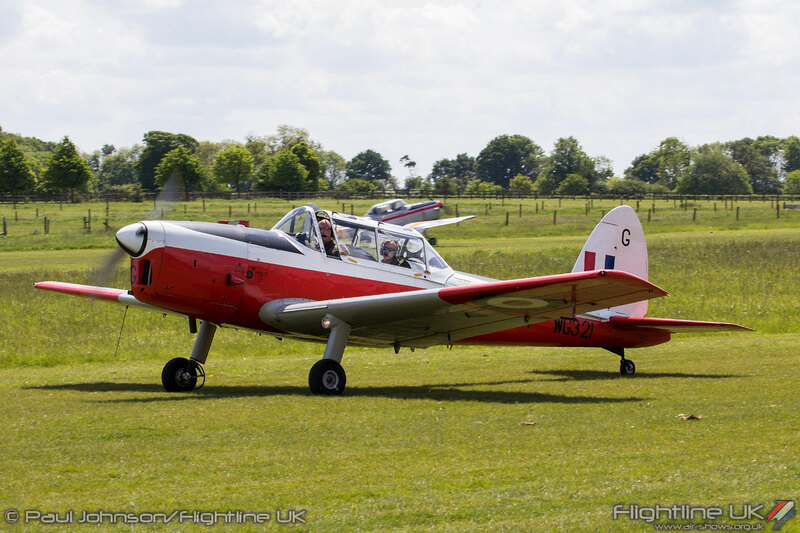 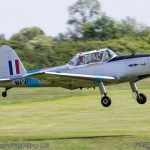 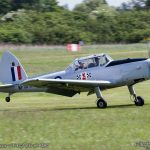 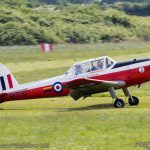 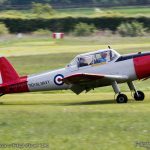 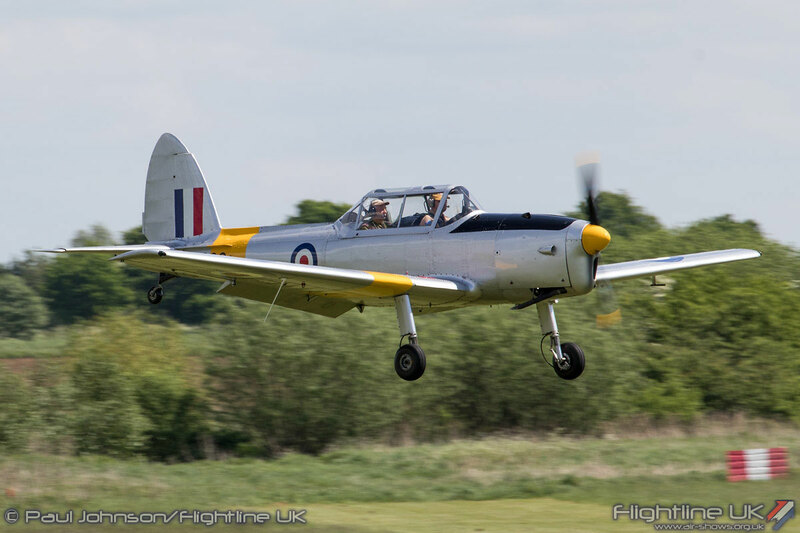 The Chipmunk though is more than just an historic airframe, many people from all walks of life have a great affinity for the ‘Chippie.’ It has been the first aircraft they ever flown in or provided their first taste of aerobatics. 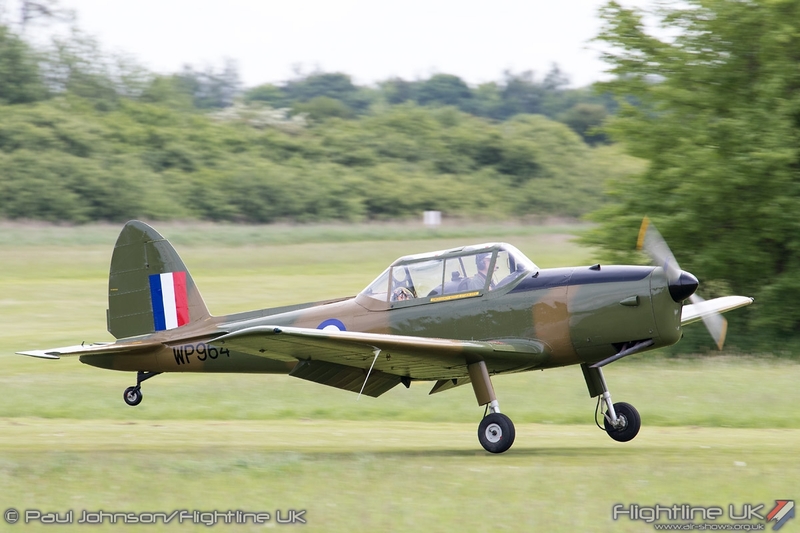 It has therefore endured and approximately 500 are still airworthy around the world. 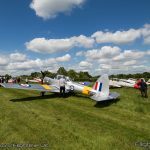 Old Warden was the ideal place to celebrate this important anniversary. 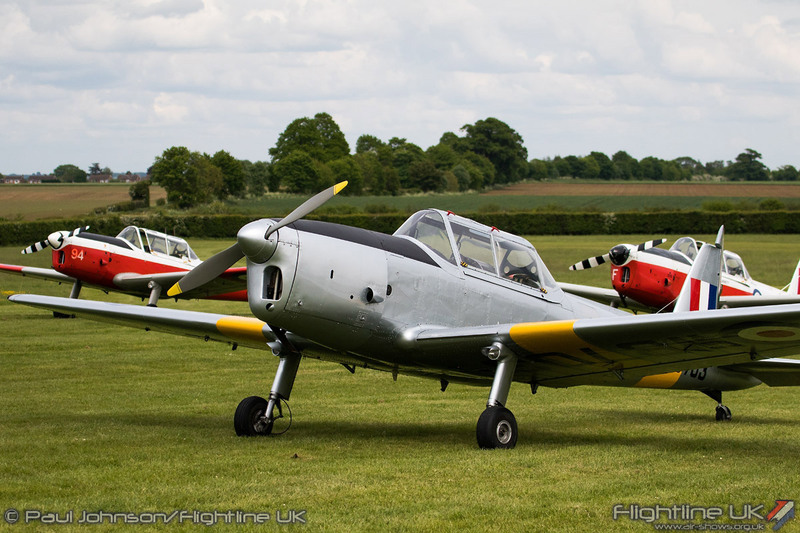 Not only is it one of the most beautiful locations for a fly-in, but is also just a few miles from Hatfield, the home of de Havilland and the location where the first few British-made Chipmunks were built. 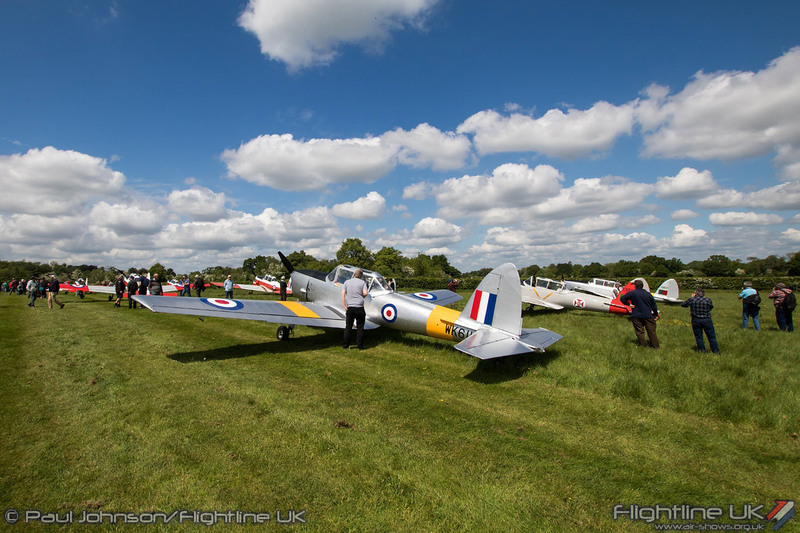 Despite some worrying weather forecasts earlier in the week, it turned out to be a beautiful day at Old Warden. 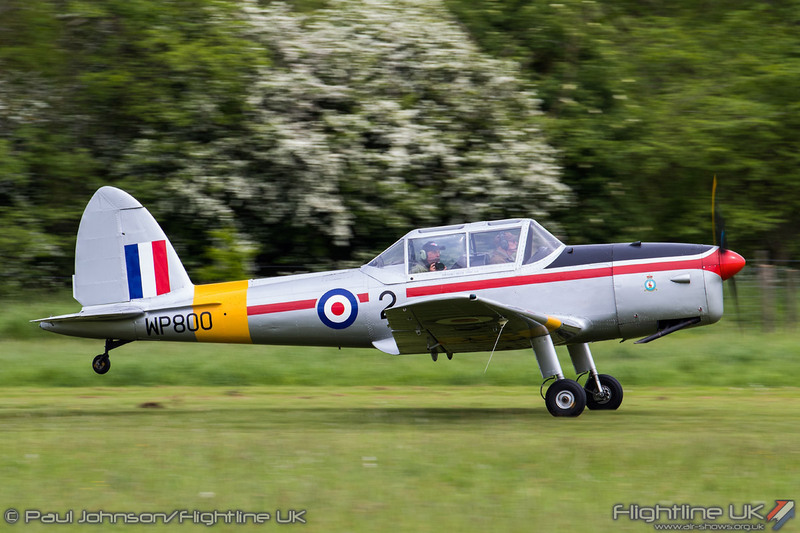 However, the treat of heavy rain elsewhere in the country did put some off. 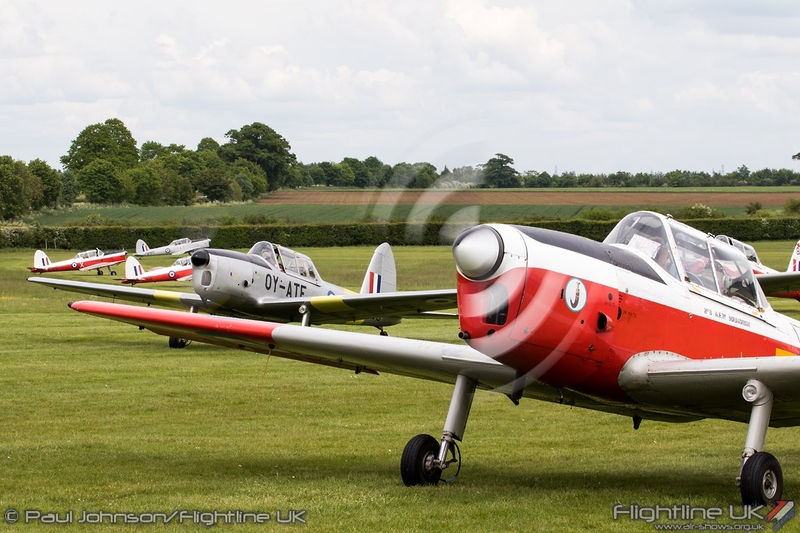 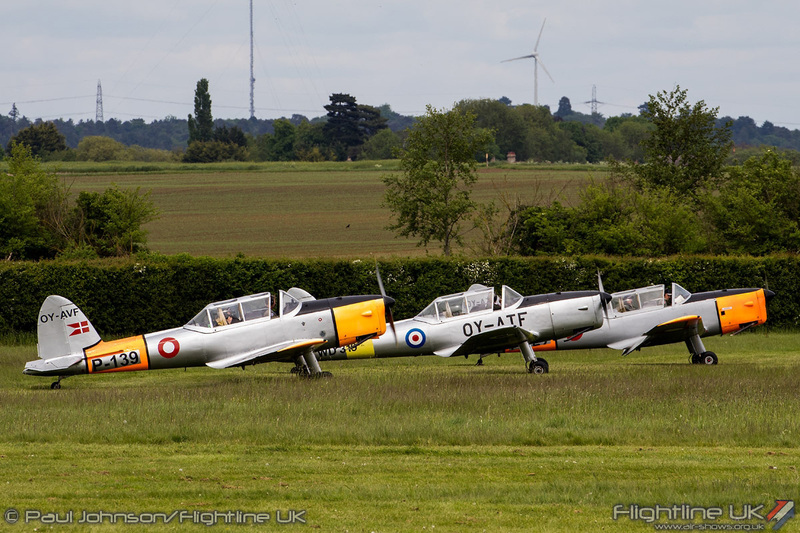 The final tally was 48 Chipmunks participate in the day with some 46 landing at Old Warden. 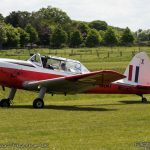 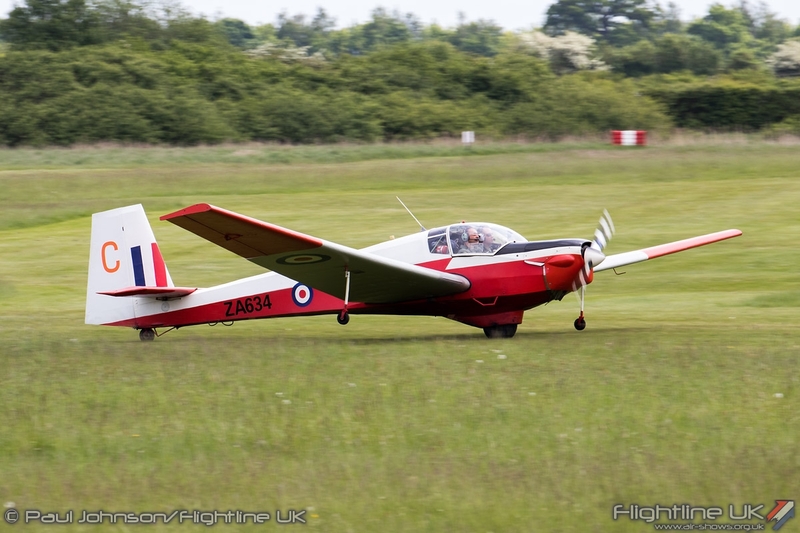 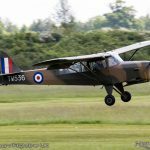 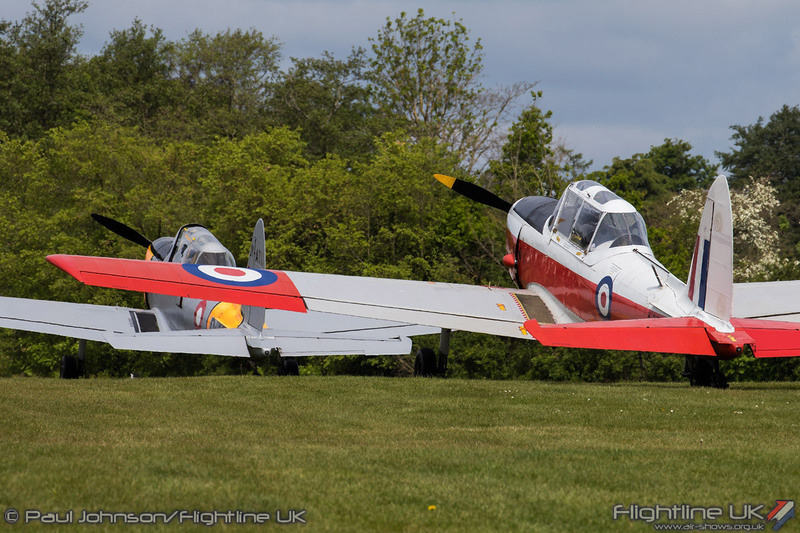 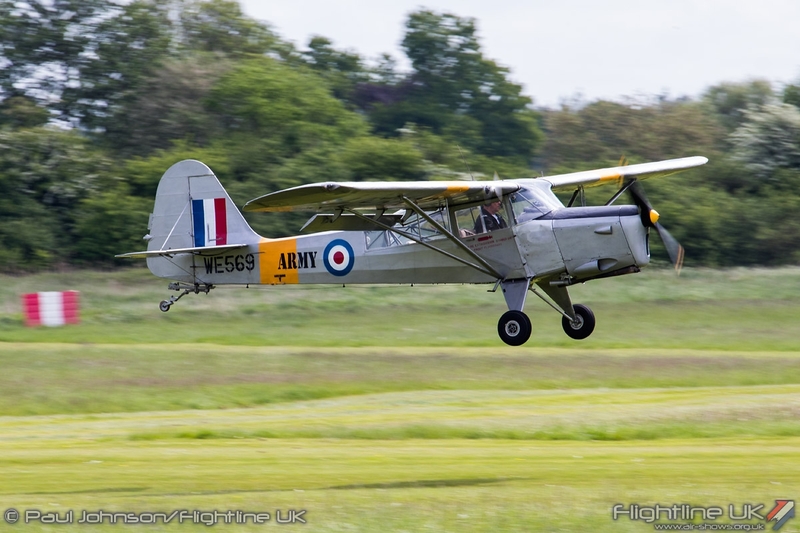 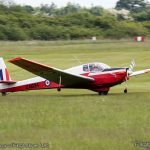 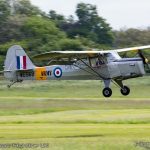 The fly-in also included a small selection of others, some of which were cloesly associated with the Chipmunk such as the Slingsby Venture, Taylorcraft Auster AOP6 and Scottish Aviation Bulldog. 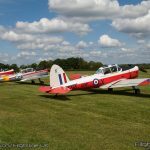 There was huge variety amongst the Chipmunks taking part. 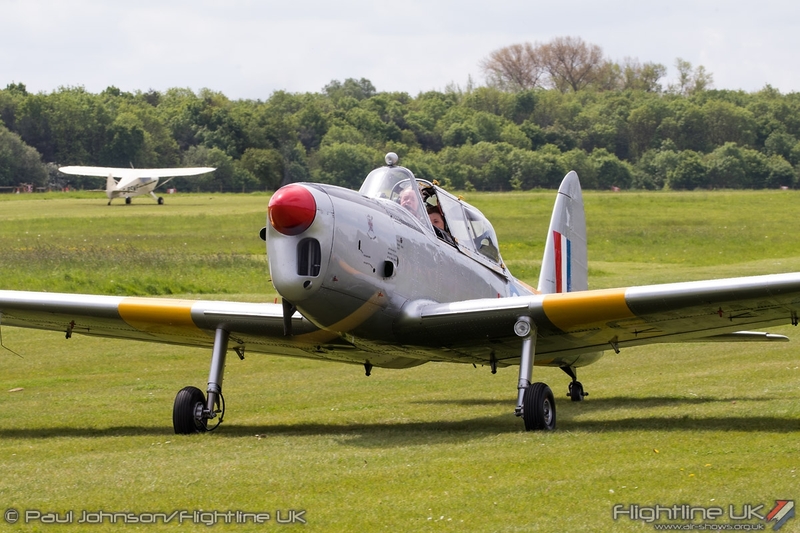 Naturally the standard Red, White and Grey training scheme of the Royal Air Force and Army Air Corps dominated, but there were also a good selection of the old Silver schemed Chipmunks. 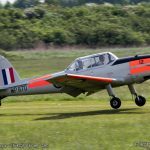 Standing out from the crowd within the military marked Chipmunks was ‘WP964’ which wore some unusual Army Air Corps camouflage markings. 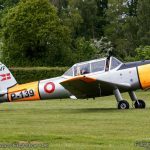 It was great to see some international participation with a Swedish and Belgian owned examples joined by a trio of Danish based Chipmunks. 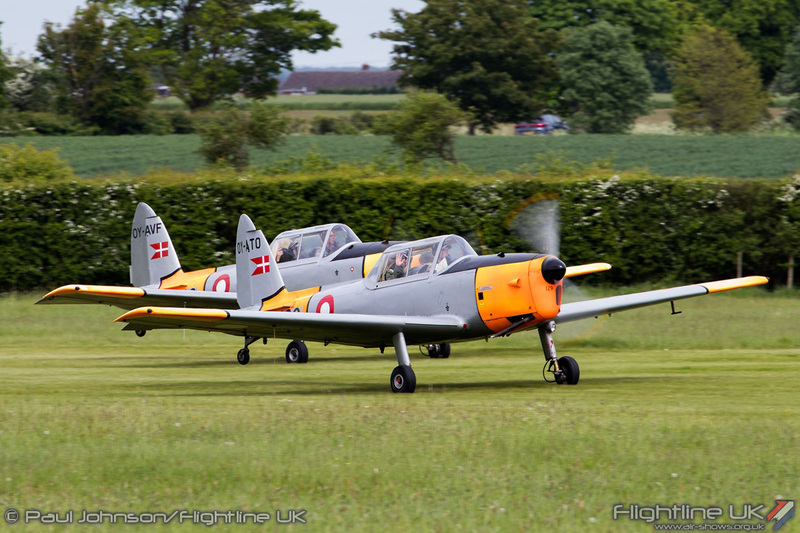 Two wore the their Royal Danish Air Force markings while the third wore RAF silver and yellow markings. 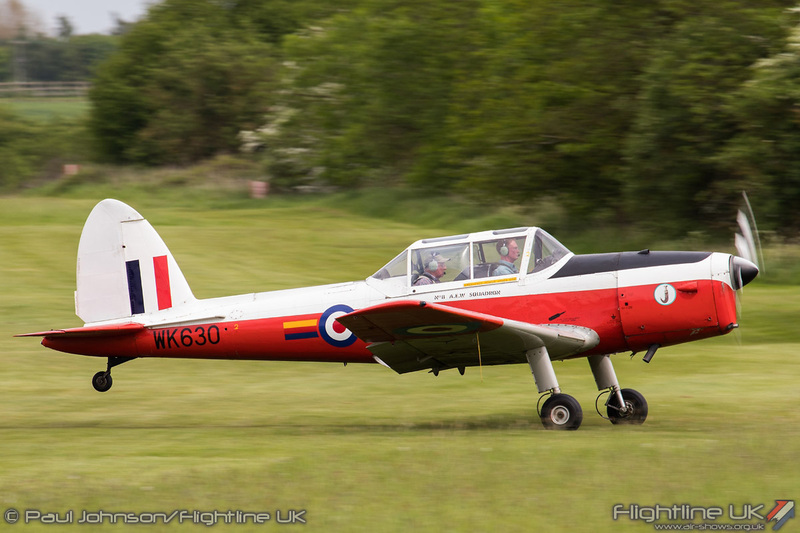 There were also a number of Chipmunks in colourful civilian markings. 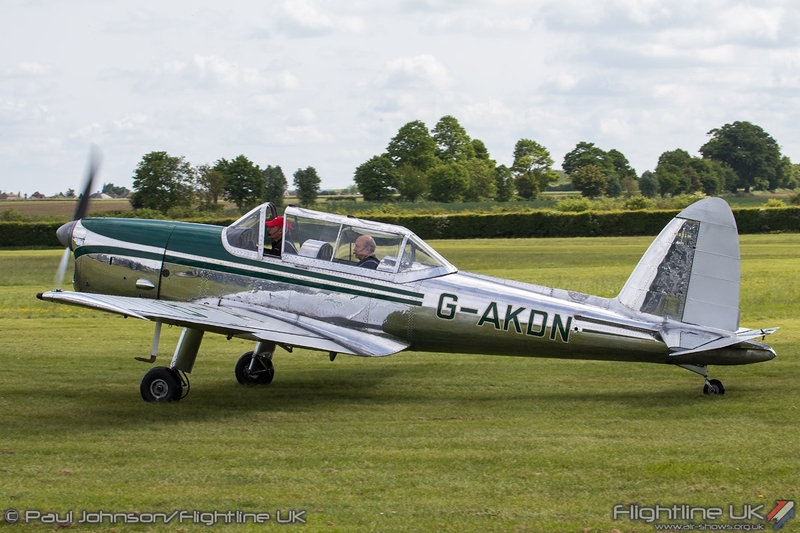 The stand out aircraft was G-AKDN, the oldest Chipmunk still flying in a stunning polished metal and green colour scheme. 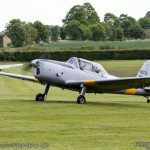 This Chipmunk is Serial Number No.11 and is one of the pre-production aircraft built in Downsview, Ontario. 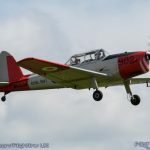 The aircraft is an ambassador for the Canadian Aviation and Space Museum, Ottowa. 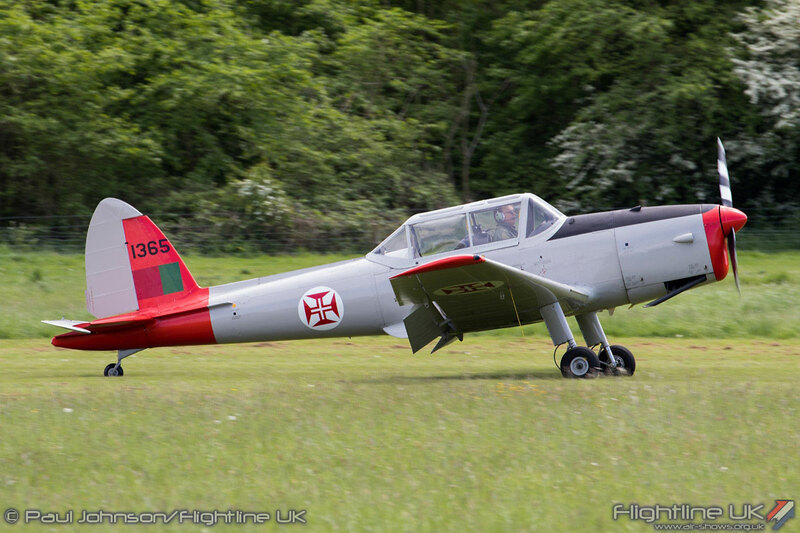 The aircraft arrived in the UK via shipping container in November 2015 and is currently based at Finmere for the 2016 season. 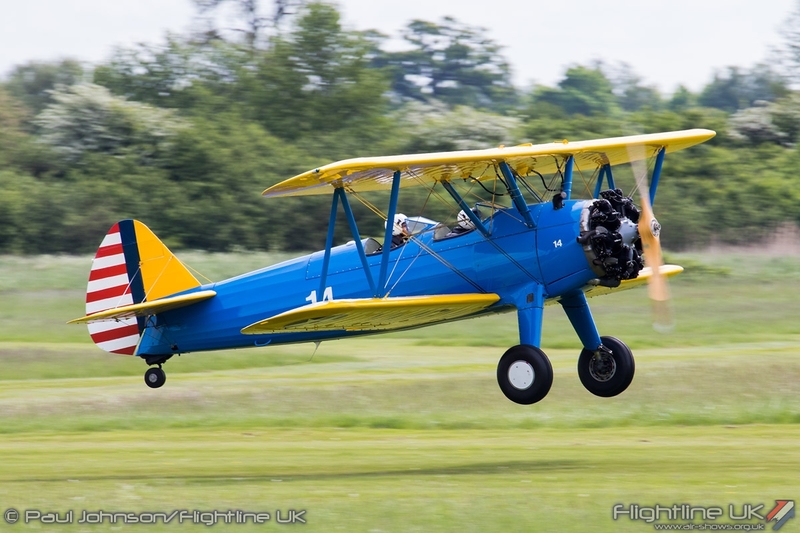 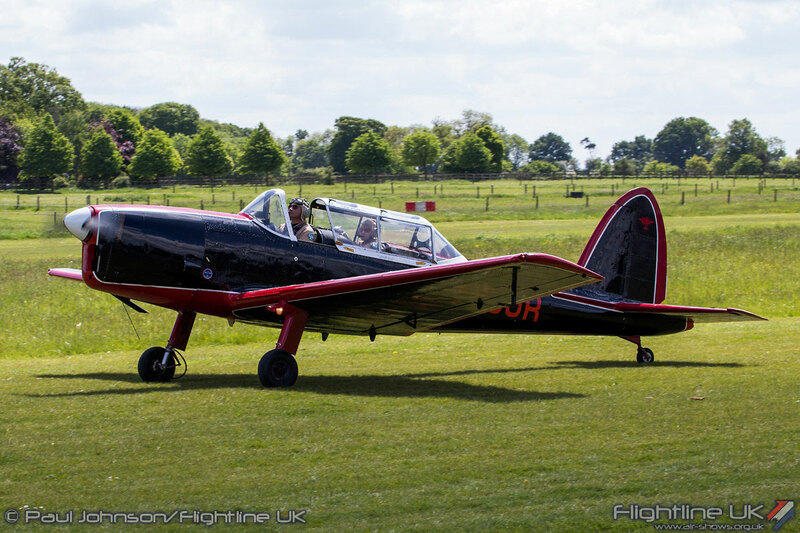 The aircraft was flown at Old Warden by Dave Gillespie who undertook a couple of different flight throughout the day. 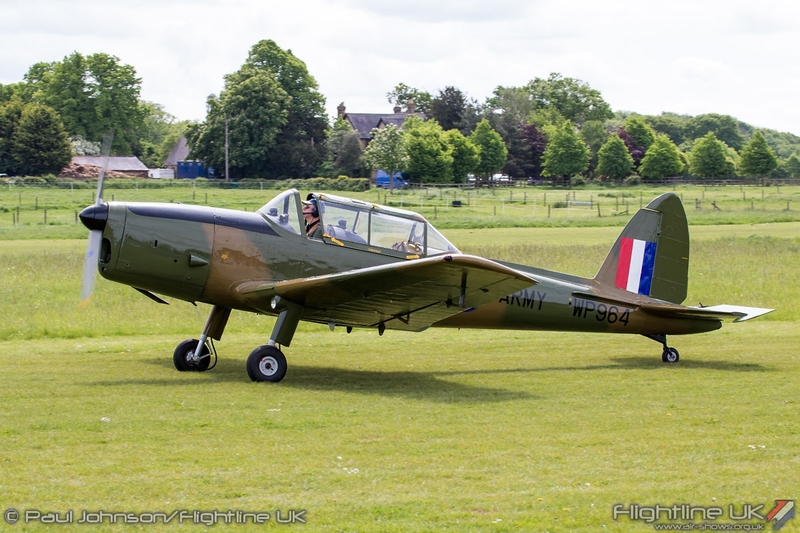 In particular he flew Sonja Fillingham, the wife of Pat, who had accompanied her husband on many flights in air races with the Chipmunk. 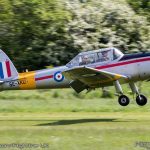 The highlight of the day was a special formation of Chipmunks flying out of RAF Henlow, just a few miles to the south of Old Warden. 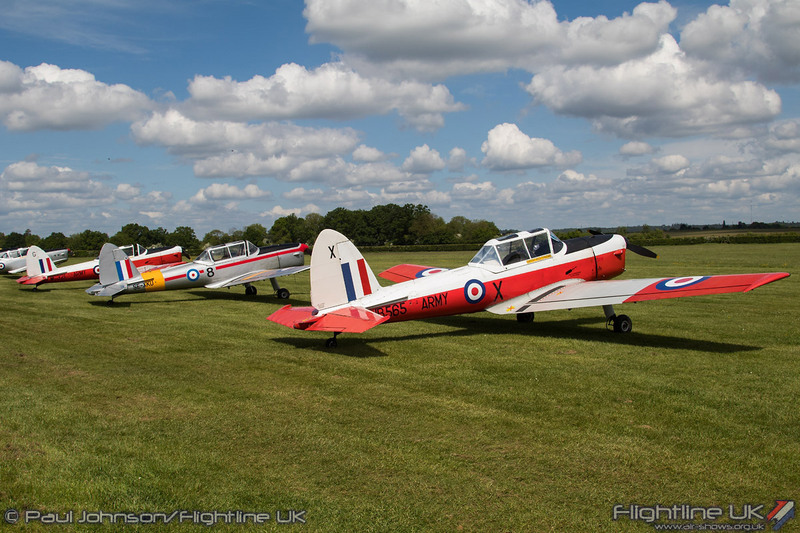 19 Chipmunks flew in a ‘70’ formation over the Bedfordshire countryside before passing overhead Old Warden. 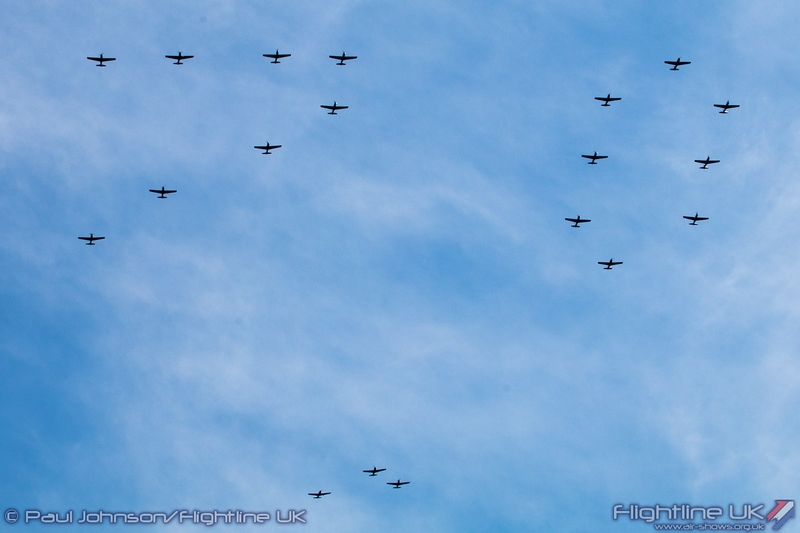 It was a magnificent sight and marked the 70th Anniversary in the best possible way. 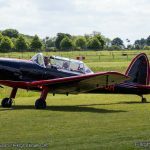 Following the formation and the subsequent landings at Old Warden, the paddock area was opened up for visitors to gain up-close access to many of the participating aircraft and crews ahead of their departure later in the afternoon. 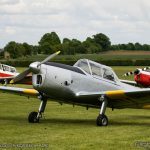 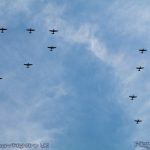 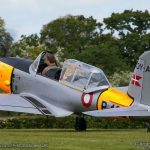 To get so many aircraft together was a tremendous achievement and marked the 70th anniversary of the well-loved Chipmunk in fine style. 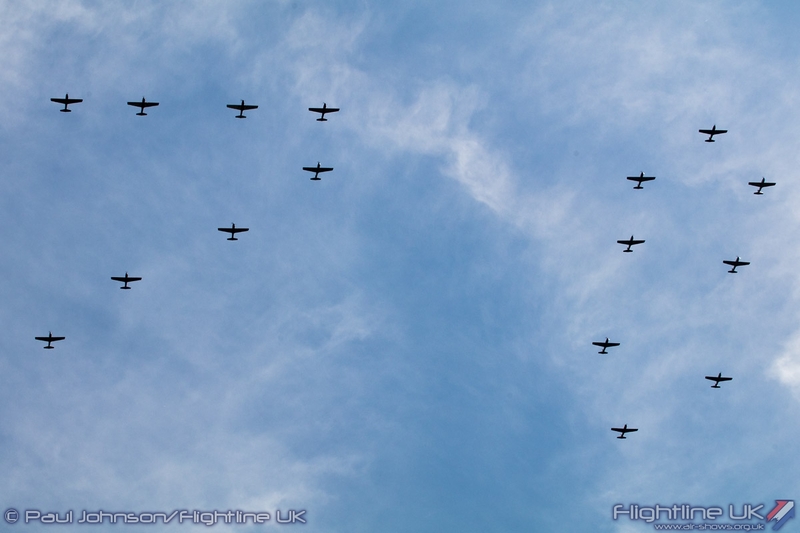 The excellent formation was the icing on the cake for a superb day. 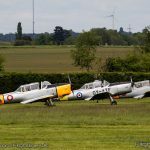 Congratulations must go to the organising committee and all the participating crews for providing a very different and enjoyable day out.